InM training provides a unique opportunity for the professionals of financial institutions including MFIs to gain hands-on knowledge and skills on contemporary issues in the domain of inclusive finance. Since the inception of training activities in 2009, InM has trained more than 20,500 microfinance practitioners at the field and headquarters level. The Institute puts special thrust on need-based customised training, which requires standard and integrated training modules rather than organising prototype training. InM takes trainees competence into account in designing training programmes. The thrust of professionalism is to ensure that the newest insights are offered to meet individual and organizational needs. Presently, Advanced Financial Risk Management Training courses are onboard to cater the specific needs of MFIs to avert losses due to delinquency. More than 5000 microfinance professionals of PKSF-POs received training on the above subjects. The facilitators were mainly from InM and PKSF. Customised training programmes are carefully designed, prepared and carried out according to specific requirements of MFIs. Customised training courses pave the way for trainers to go that extra mile to get into the heart of the matter, something that is not available in standard books or training manuals. InM organizes customised training courses both at national and international level. Building Workplace Attitude to upkeep the Morale of Staff Members. Besides, training on Environmental Issues, WASH (Water, Sanitation, and Hygiene), Gender and Development, Digital Financing, and Financial Literacy are being offered. In collaboration with CICETE (China International Centre for Economic and Technical Exchanges), InM conducted a 3-day training on “Microfinance Product Design and Business Planning”. 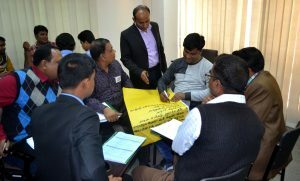 A total of 29 participants from different MFIs, Commercial banks, and Development Organisations attended the training course. 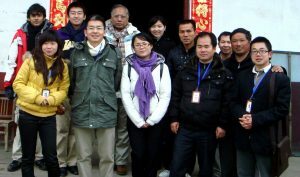 Professor Du Xiaoshan, Chairman, China Association of Microfinance (CAM), inaugurated the training. Among others, Mr. Bai Chengyu, Director, Microfinance Division, CICETE, Ms. Ginger, Deputy Director, CICETE, were also present. As part of international collaboration, an agreement has been signed between Institute for Inclusive Finance and Development (InM) and Lang Fang City WanXinHe Credit Guarantee Co. Ltd. (WanXinHe) to conduct training and microfinance operations. InM, in collaboration with DAIBANG, China organised a 5-day training on “Effective Management of Microenterprise Loans”, and “Microfinance Credit Delivery Process and Operations”, attended by the Branch Managers and Loan Officers of DAIBANG. In collaboration with UTT Microfinance, Tanzania, a 5-day training was organized on “Principles and Practices of Microfinance Program” in Dar es Salaam, Tanzania. Senior trainers of InM imparted the training. It is worth mentioning that high level management team of UTT Microfinance visited InM to gather microfinance experiences of PKSF and Partner Organisations (POs). 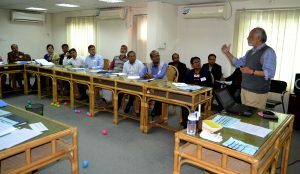 As a part of international training collaboration, InM and Asian Institute of Technology (AIT), Thailand jointly organised an International Training Programme entitled “Design and Development of Training Materials” at InM International Training Centre, Cox’s Bazar. The training was focused on the interactive learning packages that should be designed to cater the changing ways of training with the advancement of information technology. 23 (Twenty Three) national and international participants from different reputed institutions, MFIs, corporate entities and universities attended the training. InM’s internship programme offers an excellent opportunity for undergraduate and graduate students to work in the development sector and gather firsthand experience of working in a formal environment. Bright students from renowned universities from home and abroad enroll every year in the programme. Shanghai Changing Oriental DongRong Online Co. Ltd.
International Poverty Reduction Centre (IPRC), China. etc.